Like San Francisco, SF State’s dedication to the care of our environment is manifest in many of our programs and our campus itself. Our Estuary & Ocean Science Center in Tiburon is the only research center on San Francisco Bay dedicated to studying the health of the Bay. 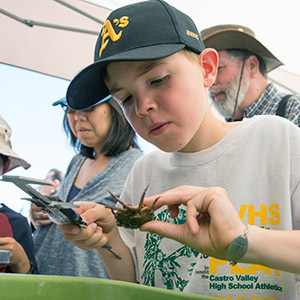 Our Sierra Nevada Field Campus is also a place of study and promotes the understanding and appreciation of biological diversity, geosciences, hydrology, astronomy, plein air art and written word in the Gold Lakes Basin and Sierra Valley regions. In San Francisco, the Pacific Leadership Institute offers outdoor learning in the Golden Gate National Recreation Area. 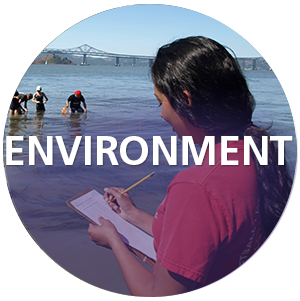 The Estuary & Ocean Science Center (EOS Center) supports scientific study of the sea, enhances public engagement with marine science and develops solutions to the environmental problems confronting coastal communities. 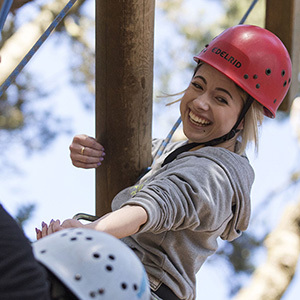 The Pacific Leadership Institute’s outdoor education program at the Golden Gate National Recreation Area provides experiential education and leadership development for local youth, adults and corporate groups.